Teenagers get some of the best Christmas presents. 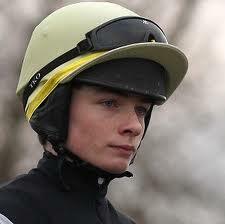 Just ask Willy Twiston-Davies. He’s spending the run up to Christmas riding winners in the warmth of Dubai, and the 19 year old was there when he received news of his gift – a new job as number one jockey for Mick Channon next season. The opportunity came up following the departure of Martin Harley to move to Newmarket, where he will ride for Marco Botti. Channon announced the news on his website www.mickchannon.tv, saying, “William Twiston-Davies will step into Martin's role and we're delighted that he's agreed to ride for us next season. Like Martin when he joined us, William is a young jockey on the up and I'm looking forward to the season ahead with him riding. He's a good lad with a strong family background. He's also done time under Richard Hannon and all of that makes for a hard working, disciplined and conscientious character, able to work with a team. That was good news for Sam Hitchcott, Charlie Bishop and apprentice Daniel Crenin, who will all continue to ride for Channon. It’s a big step up for Twiston-Davies, who finished well down the rankings in the apprentice jockey title last season with 29 winners. However, that competition only takes account of the turf season between late March and early November, and Willy T-D has ridden a further 18 winners on the all weather outside those dates. Hannon certainly did think him good enough, and now there can be no doubt that young Willy has stepped right out of the shadow of his dad, trainer Nigel, and brother, jump jockey Sam.